Please fill in the form on behalf of an EAD alumni or yourself. 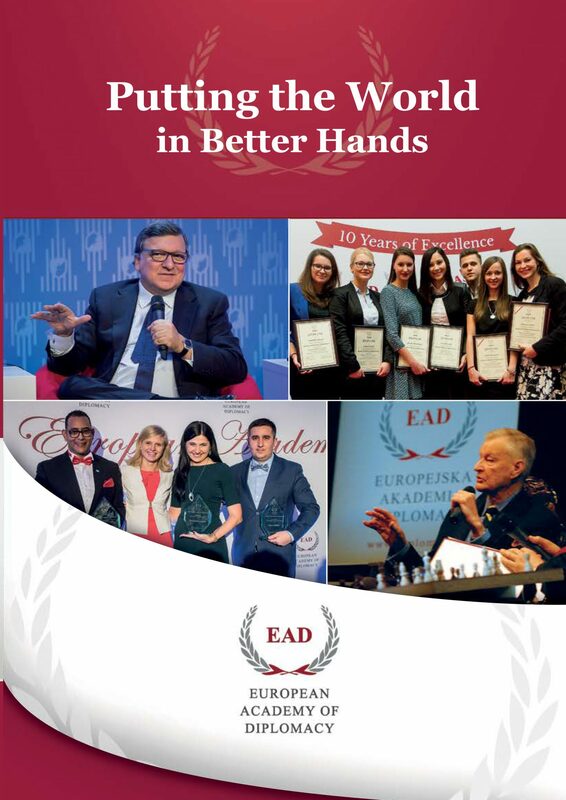 The EAD is looking for some of the most promising young leaders who continue to achieve and embody the values of the European Academy of Diplomacy’s – Respect & Dialogue, Co-ownership, Empowerment and Ethical Engagement. Please note, that there is no need to fill the form more than once per nominee. Finalists will be chosen by the EAD Board of Directors and may be asked for a short interview at the EAD offices or by Skype. The final selection will be announced in mid-November. If you have any questions, please do not hesitate to contact Ms. Karolina Krzyżanowska (kkrzyzanowska@diplomats.pl). Why should this candidate receive the 2018 Alumni of the Year Award?